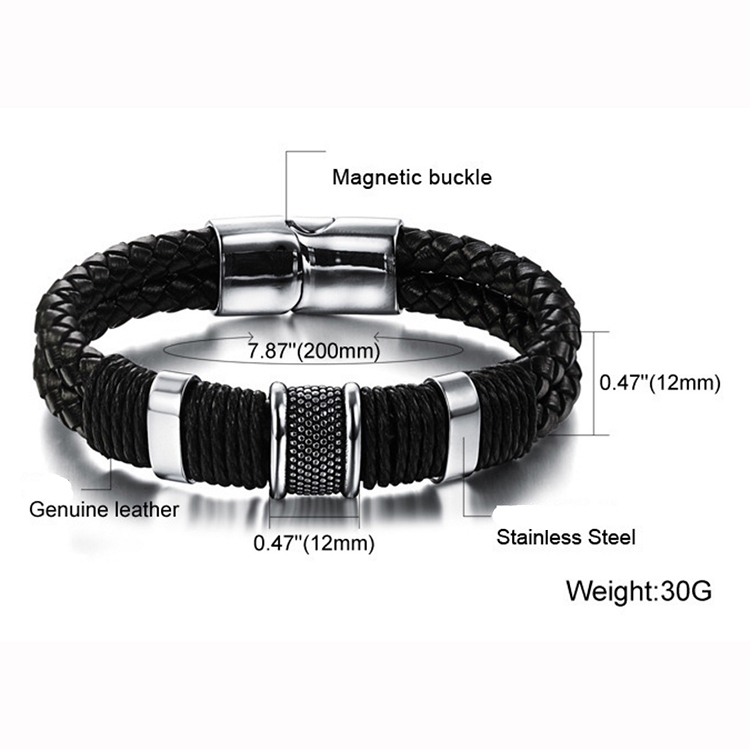 Very attractive Genuine Leather Bracelet for a guy or girl. 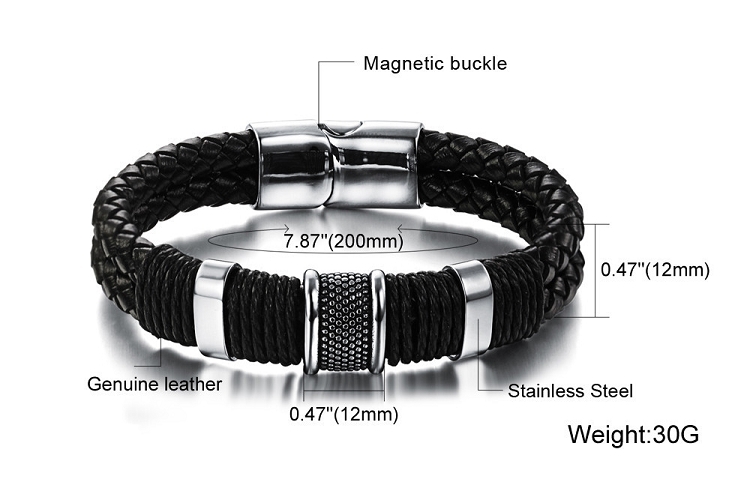 Has a metal high quality clasp to a seamless fit and comfort feel. Great for any addition in any season! Q: do your bracelets come in different seizes? Was this answer helpful? 10 of 19 Customer(s) found this Answer helpful. Q: what size wrist will it fit? Great product. Fits good. Quality made. Can't beat the price. Very very happy with it. I got this for my son and he just loves it! Great quality and awesome value, thank you TF! I absolutely love your product and your service is very professional one of the best. I will highly recommend your product to my family and my friends. Once again i am very happy with the style and quality of one of your products. I look forward to choosing my next purchase. I really love this bracelet, great quality at a great price. Constantly getting compliments about it! It’s well made but too rigid to be comfortable. Maybe it’ll soften with time and wear but I don’t have the patience for that. I have had this for a bout a month now...wear it all the time. excellent quality and looks great. The only minor issue is the magnetic clasp is a little tricky to line up to close initially, but as the band gets more flexible it becomes easier. 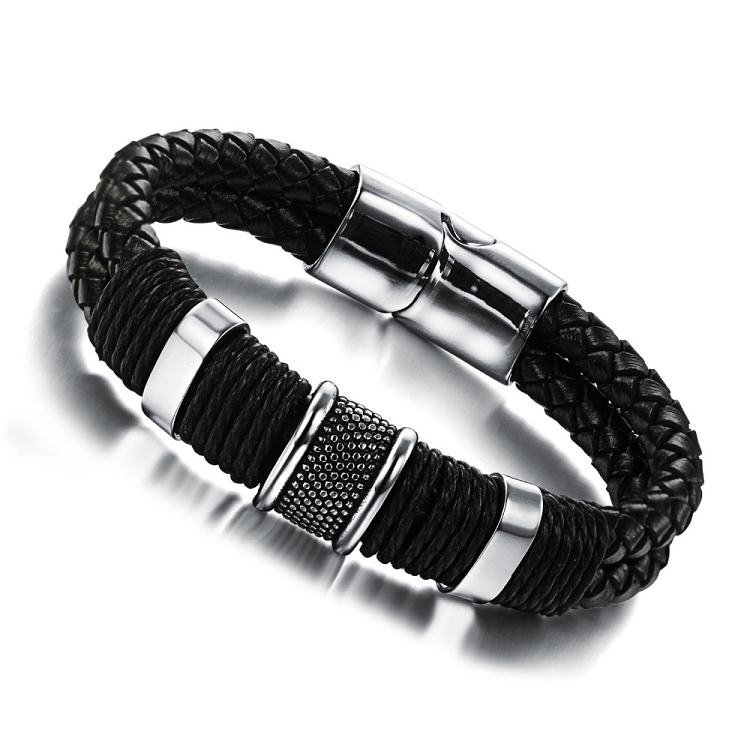 Handsome bracelet, I enjoy wearing when going out. Excellent quality. Great value. Very happy !